Redefine your showering experience with the new Cube Hand Shower Rail Set. 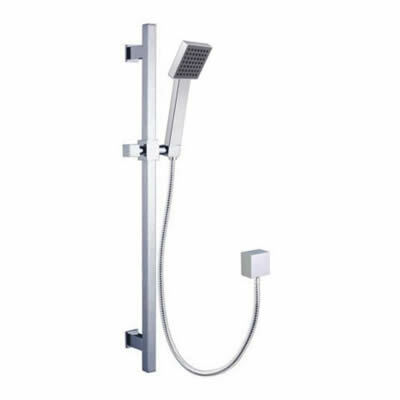 This highly functional set can be attached to any traditional overhead shower head to add an extra hand shower unit. 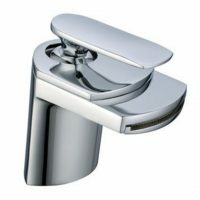 It is designed for straightforward installation in any standard bathroom. 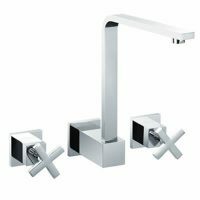 The Cube Hand Shower Rail Set is available in a contemporary chrome finish which makes it a popular choice for modern bathroom designs. 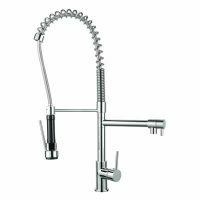 It also features an ergonomic design and is equipped with a solid lever handle. This unit can easily be gripped and operated with one hand. As part of the Cube series of contemporary bathroom tapware, the Cube Hand Shower Rail Set is a high-quality unit. It is incredibly sturdy, thanks to solid brass construction and meets Australian quality standards. This shower head will certainly transform any shower or bath into a high utility and attractive bathing space. So what are you waiting for? Add extra functionality to your bathroom with the Cube Hand Shower Rail Set. Go ahead and purchase yours today at the lowest price in Perth from us at Ross’s Discount Home Centre!